Transform your kitchen sink into a powerhouse with these handy Sqaureline Plus Sink Accessories, which is compatible with our Squareline kitchen sinks with Product Codes 73149 and 72150. 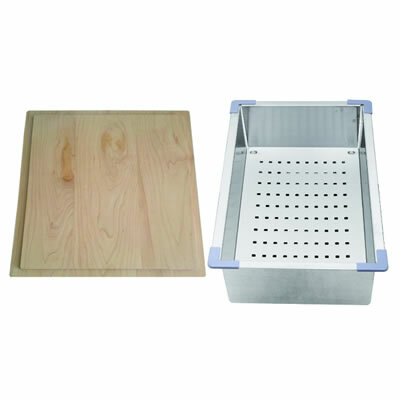 Included in this accessories set is a colander made out of top-grade stainless steel and a chopping board made out of wood. 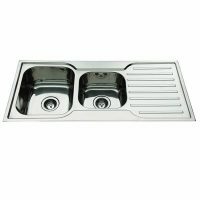 These accessories are designed to make your kitchen sink more functional and better organised, and are designed for easy installation into these Squareline sink models. The chopping board included in this set measures 435x300x20mm, while the colander measures 420x220x91mm in dimensions. 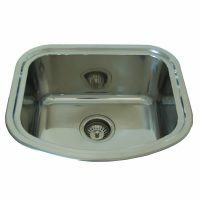 These correspond to the exact dimensions of the Squareline sinks models 73149 and 72150. As with all sinks in our Squareline series, this accessory set also exhibits the highest grade of quality. As a mark of this quality, each product in this accessory set is backed by a one-year replacement warranty. Trust that these sink accessories will last you many years to come. To make your Squareline kitchen sink more functional and better organised, add the Sqaureline Plus Sink Accessories set, available at Ross’s Discount Home Centre. 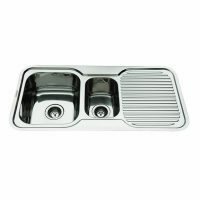 Purchase this sink accessory set at the lowest price from our online store today!